Please send me the connection image for buzzer control. Mine connection is not right as buzzer is not producing sound. It is simple, long leg goes to A0 Pin and shorter one goes to ground (GND pin). You will also need to write code accordingly. Please share the photo of the connection you have done so far. That will help us review and share the feedback with you. Hey @yashasvi317 ,here’s a picture of connections I made, and it’s working. 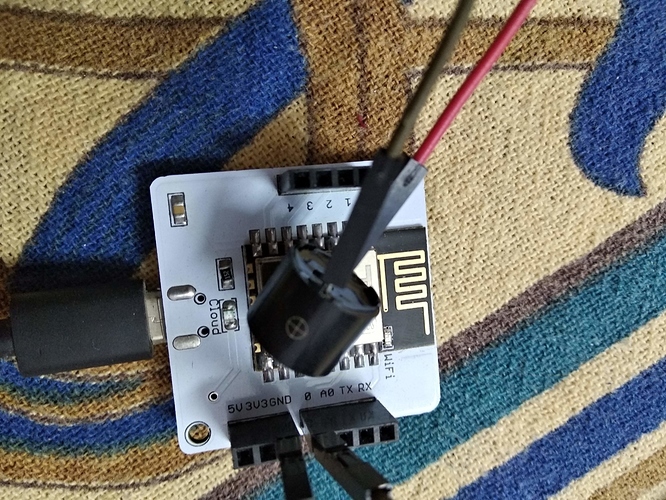 It’s similar to LED connection,the longer pin of buzzer should be connected to GPIO pin and shorter one to ground.Don’t use a resistor in this connection. And also remove the seal on the buzzer for clear sound.I hope this helps.